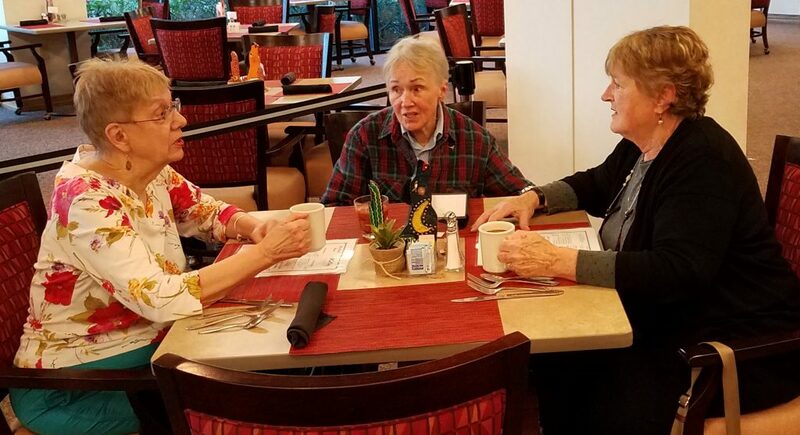 Air Force Villages Charitable Foundation at Blue Skies of Texas continues the cherished Air Force Village tradition of lending confidential support to widowed spouses who have lost financial stability through no fault of their own. It’s a mission that sets us apart and truly connects us to our residents. Here’s a glimpse at how your contributions to the Air Force Villages Charitable Foundation honor the service of our deceased veterans and the widows who served side-by-side with them. Four lovely women, hair tinged in silver, are playing bridge and enjoying a lively conversation. They pause to applaud the pianist whose lilting strains float through the lobby. 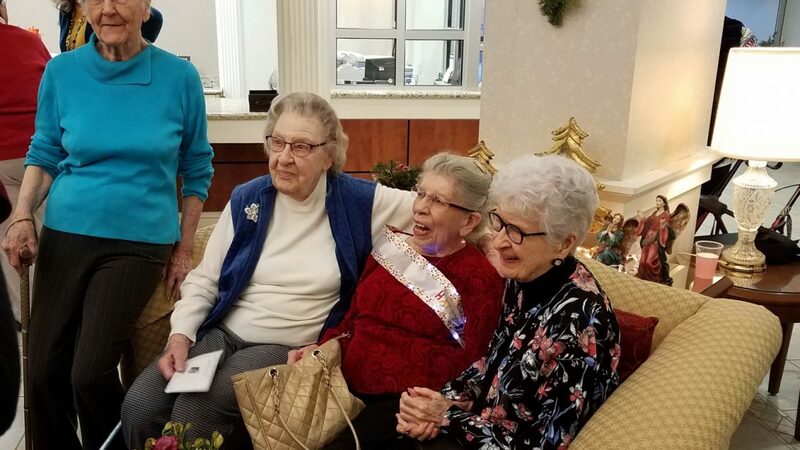 These women are connected in friendship, like sisters. All have served their country as wives of Air Force officers – uprooting and relocating, and raising children alone when their husbands were deployed abroad. They live at Blue Skies of Texas, home to more than 1200 retirees from all branches of the military and diverse civilian careers. Two of the women have been married for more than 50 years. One was recently widowed; one is long widowed. 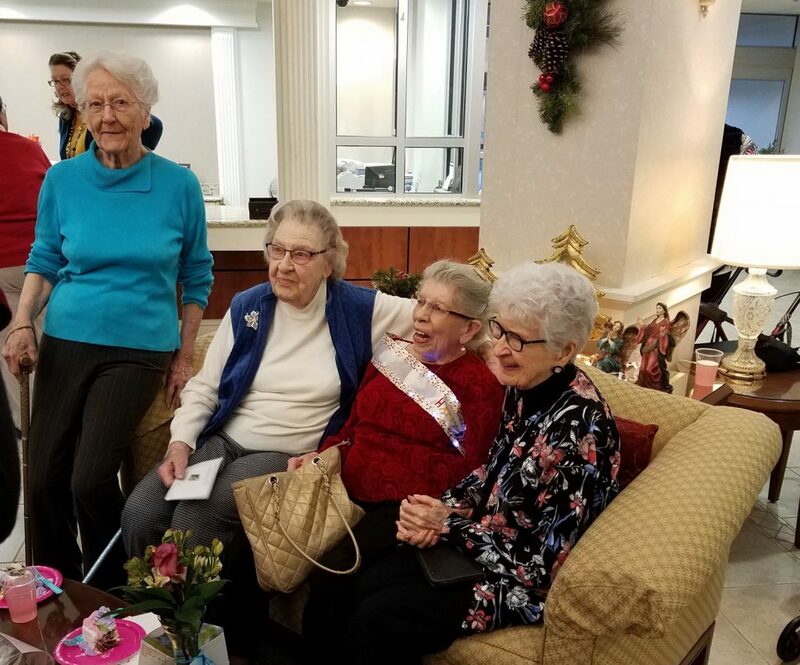 Three have been blessed with the financial resources to afford this comfortable, safe retirement lifestyle – living in modern residences, enjoying stimulating activities and eating nutritious meals prepared by a staff that treats them like beloved family, with dignity and respect. One of these ladies needs financial assistance, but you would never guess which one and we honor her privacy. She found herself in dire financial constraints when her beloved husband died after a prolonged bout with cancer. His illness drained their life savings and when he died, she was forced to sell her home to pay off medical expenses. A friend told her about Blue Skies of Texas, founded in 1970 as Air Force Village, born of a charitable mission: to provide excellent retirement living with access to continuing health care for retired military officers and their spouses – and to give priority to retired Air Force officer widows in need of financial assistance. She receives a small pension and Social Security – enough to pay her monthly service fee for a small apartment on one of our two San Antonio campuses. Without a savings cushion, she could not afford the entrance fee to become a resident, but at her friend’s urging, she came to us as a widow in need. All of you who reach into your hearts and wallets to make a contribution to the annual Air Force Assistance Fund (AFAF) – came to this widow’s rescue. Because of your generosity, we were able to waive her entrance fee. She managed to pay her own way for six years until she developed Parkinson’s Disease and had to move into Assisted Living. Here, she receives the assistance she needs to remain relatively independent, but she could not afford the increased monthly service fee. Again, you helped. She uses her monthly income to cover the major portion of her service fee and the Air Force Villages Charitable Foundation is able to cover the rest – because of your gifts to AFAF.